“Once you see it, you can’t unsee it”, was a common and powerful assertion at a recent seminar on TMD for the Dental Sleep Medicine practitioner. Classic oral signs such as abfractions, tongue scalloping, facial pain, bruxism, and micrognathia that dentists come across every day all correlate with airway issues. Mounting evidence and studies also show a strong correlation between OSA and TMD, strongly reinforcing the need for advanced TMD and orofacial pain treatment skills and education. According to recent studies, excessive daytime sleepiness is more frequent among masticatory myofascial pain patients.1 It is also more likely that patients with low-frequency sleep bruxism may present with painful temporomandibular joint disorder (TMD). Given that there is a relationship between sleep bruxism and SBD, TMD may be diagnosed in patients with SDB. In a study, Cunali et al.2 evaluated 87 adult patients with mild to moderate OSA and found 52% had TMD. The OPPERA cohort and case-control studies3 found that signs and symptoms of OSA were associated with occurrence of TMD. In the cohort study, a high probability of OSA was associated with increased incidence of first-onset TMD. Moreover, a high probability of OSA was associated with increase of chronic TMD. It’s clear that DSM practitioners should acquire the skills proactively assess, diagnose and treat TMD and orofacial pain. Becoming a well-rounded DSM practitioner with orofacial pain skill sets differentiates your practice and allows you to provide the best quality care for your patients. Most dentists managing OSA strive to be well-informed about the TM joint and delve into any orofacial pain or TMD issues. Nierman Practice Management’s Sleep Apnea Questionnaire and Exam forms incorporate a TMD and orofacial screening to identify, document, and review any underlying pain condition or TM joint disorder. 1. If any TMJ complications arise after a patient begins oral appliance therapy, immediately managing symptoms prevents more advanced issues. 2. If not the dentist, who? The dental professional is the primary care provider for TM joint dysfunction, capable of significantly improving the quality of life and overall health of patients. 3. 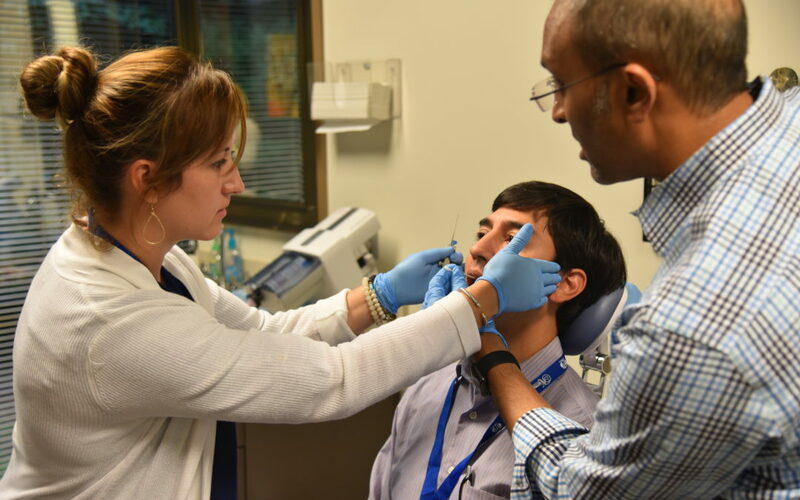 The American Academy of Sleep Medicine (AASM) Practice Parameters for OSA puts the responsibility clearly on dentists to recognize and treat TMD problems in sleep apnea patients during follow-up exams. 4. Oral appliances for OSA may not be considered medically necessary in patients who have significant TMJ issues. Some medical insurers have recently added this caveat to medical policies, so it has become even more necessary to document and potentially stabilize any TMD issues before oral appliance therapy for OSA. 5. Many medical insurance carriers reimburse patients for medically necessary TMD treatment. With medical insurance coverage, more patients can move forward with vital medically necessary treatment. The fact that most U.S. states now mandate TMD coverage in their benchmark health care plans increases reimbursement success for TMJ disorders. When it comes down to it: the goal is to get the Positive Airway Pressure (PAP) intolerant patient treated for OSA/SDB as quickly as possible. The sooner every differential diagnosis is documented, and treatment is prioritized, the better for the patient and the dental practice. Also, from a recordkeeping and medicolegal standpoint, it’s essential to document all head and neck findings during the OSA screening. When a patient presents with facial pain or jaw clicking, the skills to make a differential diagnosis and triage treatment are integral to successful treatment. Determining if the diagnosis is an articular disc disorder, joint arthritis, contracture of the muscles of mastication, or a laxity of the TM joint ligaments is vital to moving forward with your treatment for both pain and OSA. From a reimbursement standpoint, when patients require both TMD treatment and OSA appliance therapy, medical claims are typically billed individually; thus, the medical billing process is triaged along with treatment. Nierman Practice Management offers certifications for dental offices to bill procedures such as trauma to the oral cavity, bone grafts, implants (placement & removal), OSA, TMD, frenectomies, biopsies, incision & drainage, functional appliances and medically necessary orthodontics (and the list goes on); to be sure you are not leaving any money on the table. What if there was one thing that could make the difference in your practice? There is…and that is to train your team in Dental Sleep Medicine, TMD and medical billing in dentistry. Differentiate your practice from others and make it a point to connect with physicians who encounter facial pain and sleep patients. Master OSA appliance therapy, increase your TMD knowledge and your team’s medical billing skills to take your practice to the next level. We host CE courses on Medical Billing for Dentists and clinical treatment of TMD disorders and Dental Sleep Medicine. For more information, contact Nierman Practice Management at 1-800-879-6468 or through niermanpm.com. Balasubramaniam R, Klasser GD, Cistulli PA, Lavigne GJ. The link between sleep bruxism, sleep-disordered breathing and temporomandibular disorders: an evidence-based review. Journal of Dental Sleep Medicine. 2014. Cunali PA, Almeida FR, Santos CD, et al. Prevalence of temporomandibular disorders in obstructive sleep apnea patients referred for oral appliance therapy. J Orofac Pain 2009. Sanders AE, Essick GK, Fillingim R, et al. Sleep apnea symptoms and risk of temporomandibular disorder: OPPERA Cohort. J Dent Res 2013.